This KitchenAid stand mixer has a bowl-lift design to lift the work bowl into position for mixing, and this makes the unit suitable for smaller kitchens and workspaces as it does not require additional space above the head. 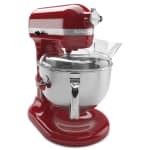 With 10 speeds and 67 point planetary mixing, this stand mixer can thoroughly incorporate, mix, knead, and whip thick dough and heavy batter, and it has a capacity of up to 14 cups of flour in each batch. 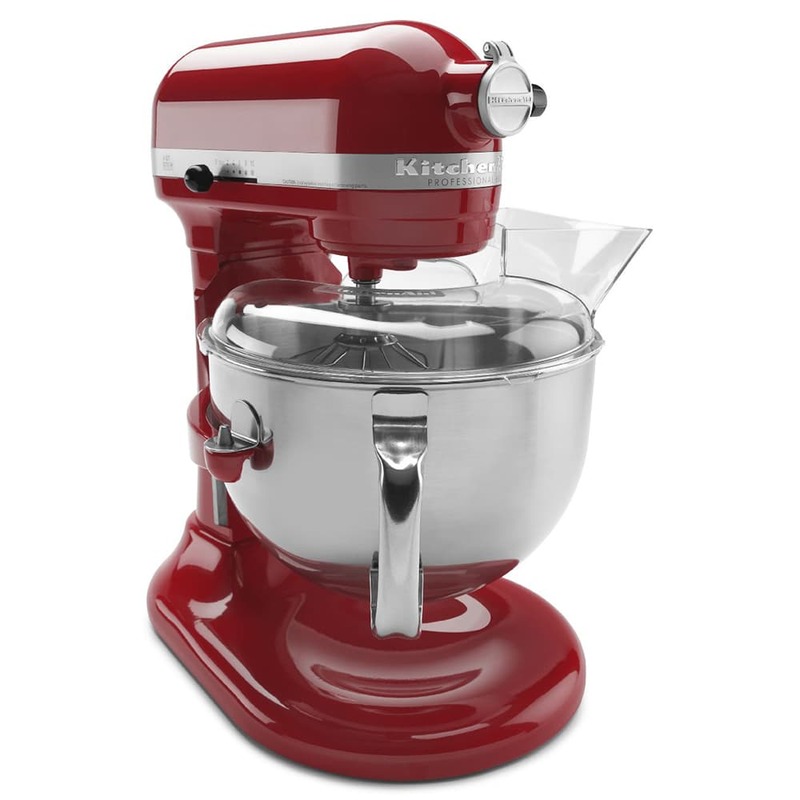 This stand mixer includes a flat beater, a six wire whisk, and a Powerknead™ spiral dough hook. Professional 600 series with pouring shield, 6 qt. polished stainless steel bowl with comfortable handle, burnished flat beater, burnished PowerKnead spiral dough hook and wire whip, pouring shield, stain nickel hinged hug cover, commercial auto reset, comfort bowl lift handle, 120v/60/1ph, Empire Red. Warranty not valid when used in commercial environment such as a bar or restaurant.